The monumental Alpha card to own. 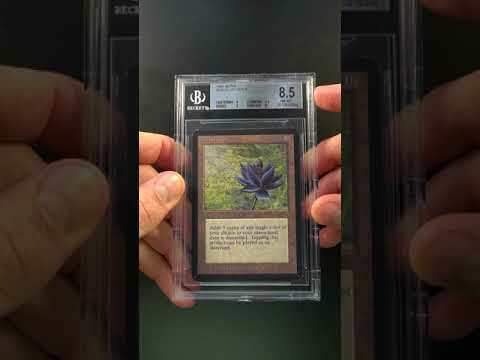 The Black Lotus is the single most important MTG card ever printed and is widely considered the most valuable card ever to be released in a regular set. 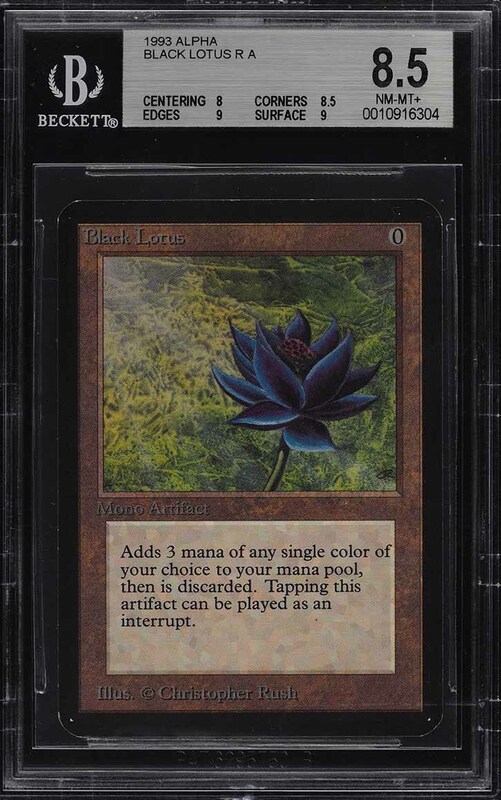 In fact, former professional player Zvi Mowshowitz has declared the Black Lotus as the best artifact of all-time and makes every deck simply better with this card in it. Due to its immense power, this card has been banned/restricted in all formats and is atop the coveted 'Power Nine' list. Designed by Christopher Rush, the Black Lotus is a truly remarkable piece of artwork which would not look out of place in a museum. What we have here is one of the few high-grade examples still in existence which possesses tremendous preservation throughout. Boasting four keen edges with mostly clean borders and glossy surfaces. Almost entirely free of any imperfections with vibrant color and clear imagery. The centering seems harshly assessed and shows better than the NM-MT subgrade. All told, we love this card and with a print run of just 1,100 of each rare card being produced, and the vast majority being played/damaged, there's simply no way to ever satisfy the demand for this world-class investment piece. 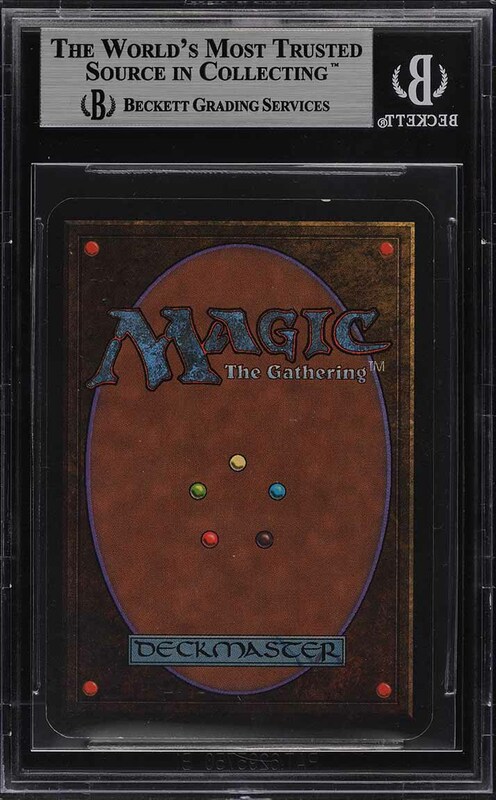 We are proud to offer this premier investment commodity to the Magic community, free of reserve. Comes highly recommended by PWCC. Part of a magnificent run of high-grade Magic The Gathering examples on the auction block this month. One of nearly 15,000 cards, lots, and sets up for bid in our 4th Auction of 2019. Click on the link above to view the other PWCC auction lots. The PWCC Vault is now live! Open a PWCC Vault account and receive a custom Vault shipping address. Purchases shipped to the Vault receive free shipping and reflect Oregon's 0% sales tax rate.